the BUKU team has put together a diverse mix of afterparties featuring a variety of artists on this very special lineup. Both Friday and Saturday are stacked with tons of options for those wanting to keep the party going after the main event. There is even an option on Sunday for those who find themselves still in town! 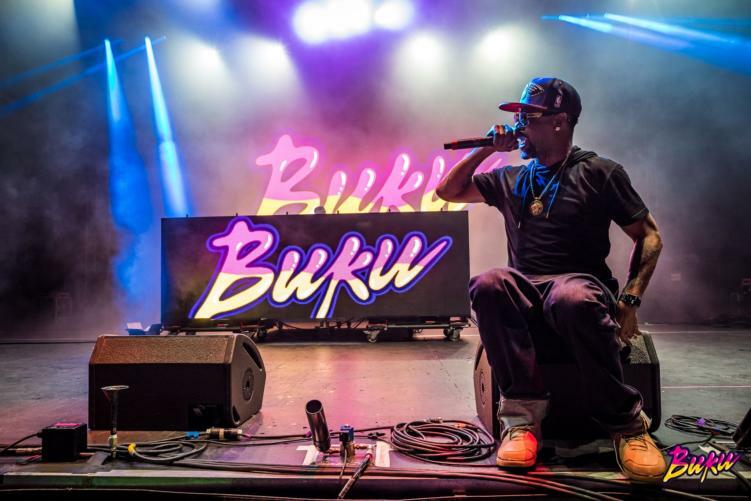 Tickets for BUKU this weekend are still up for grabs, but not for much longer. You can purchase those here. In case you want to keep the party going after a crazy day/night filled with Virtual Self, Migos, and more, you’re in luck! On Friday, there are three bangin’ parties sure to keep you on your toes dancing all night. These Friday events are perfect for those who just have their bands for either Friday/Saturday, as this goes into the wee hours of the night. 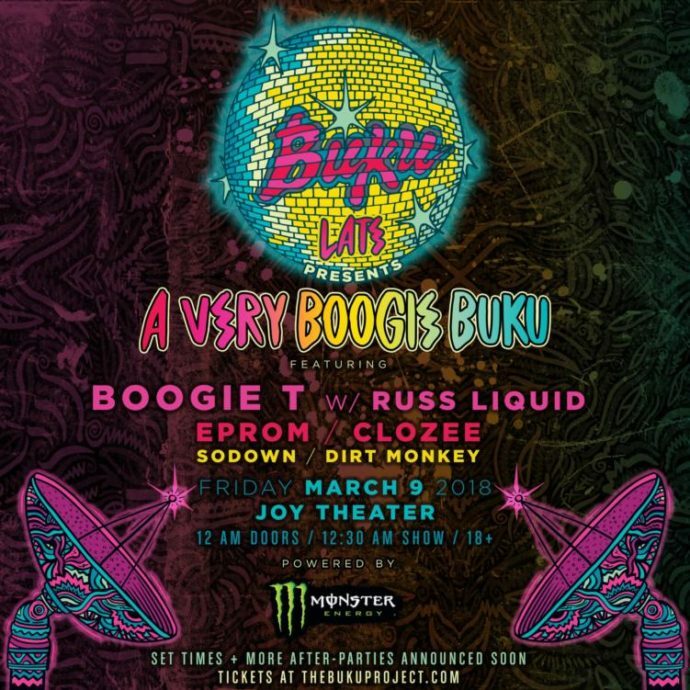 Performing at the Joy Theater, just 2.5 miles away from the BUKU grounds, is New Orleans locals Boogie T and Russ Liquid. This will hands down be the funkiest afterparty, and who knows… Boogie might even break out his guitar! Joining them is Eprom, Clozee, SoDown, and Dirt Monkey. Doors open at 12:30AM, so be prepared for a long night of music and dancing. Purchase tickets for this event here. 1 mile away from Mardi Gras World is electronic-music powerhouse Republic NOLA. 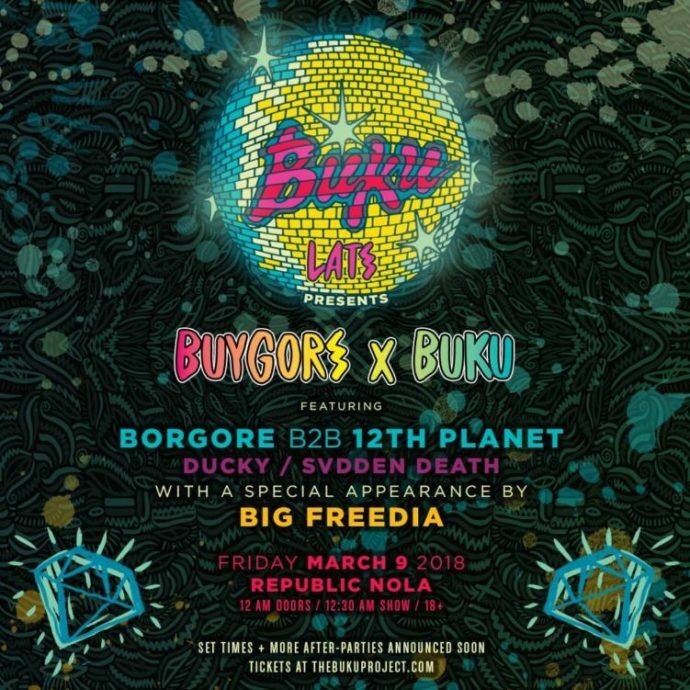 Kicking off directly after BUKU is an epic B2B featuring Borgore and 12th Planet. 12th Planet is simply an addition to an otherwise already stacked BUKU lineup. Opening for the duo is Ducky and Svdden Death, plus a very special appearance from the bounce queen herself: Big Freedia. Purchase tickets for this event here. 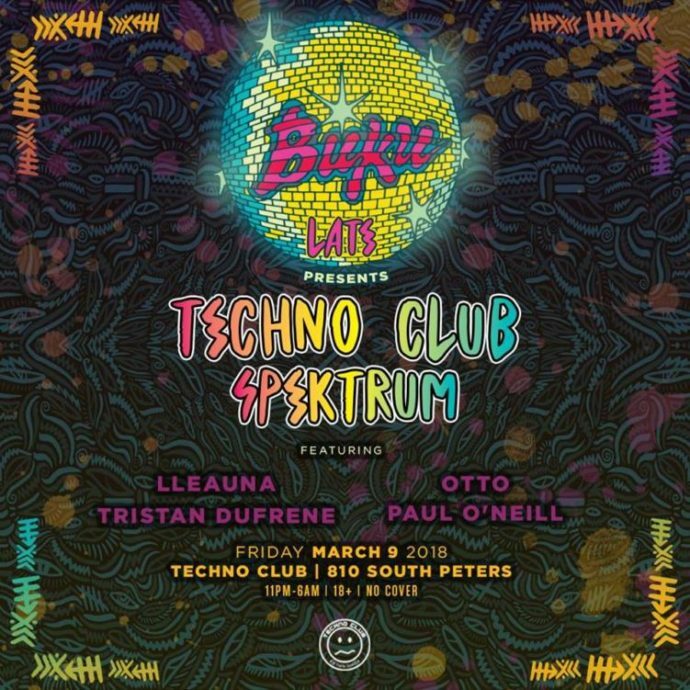 Boasting a lineup filled with New Orleans hottest techno residents is Techno Club Spektrum. The venue that host Techno club is first come first serve and will fill up quickly after BUKU. The spot is popular with those who want to enjoy the rest of their night enchanted by the dark beats. Playing at one of the hottest spots in town is Lleauna and Tristan Dufrene, plus Otto and Paul O’Neill. Get more deets on the event here. Saturday features three VERY different afterparties to please all. Feeling rap? There’s a party for you! Underground dirty techno? Got you covered! Some of electronic music’s most popular names? You bet ya! Check all of the options out below. 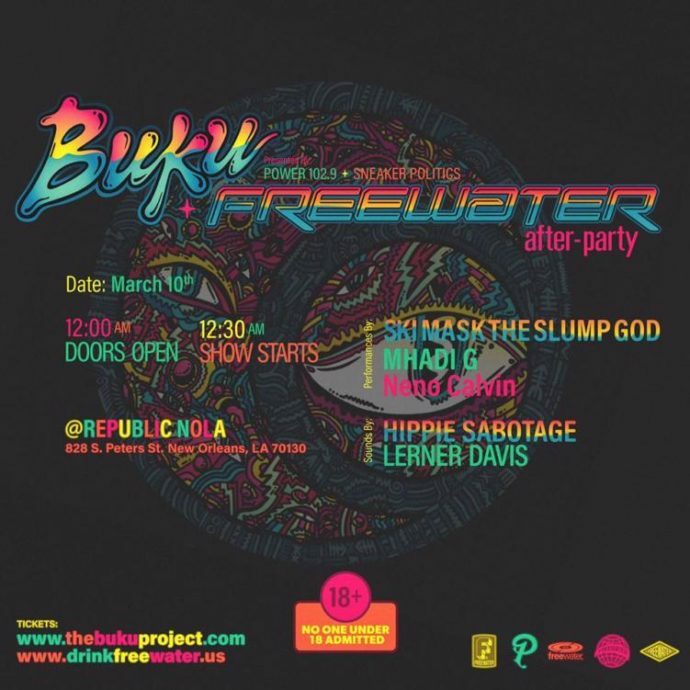 Teaming up with Freewater, a New Orleans creative collective, BUKU has curated an epic vibe-filled after party. Kicking off directly after the festival ends is Hippie Sabotage and Lerner Davis at Republic NOLA. Opening acts include Ski Mask the Slump God, Mhadi G, and Neno Calvin. To learn more about the Freewater Collective, you can check out their site here. On Saturday, Kompression presents a premier house and techno dance party. Their lineup includes two popular New York City DJ’s: Joeski and Alan Nieves, plus four opening acts. Purchase tickets for the event here, or view the Facebook event page here. This party goes all the way until 7AM! Last but not least is this party presented by LA-based collective Brownies and Lemonade. Known for booking the hottest names in electronic music. Their first time in New Orleans will certainly live up to the hype. 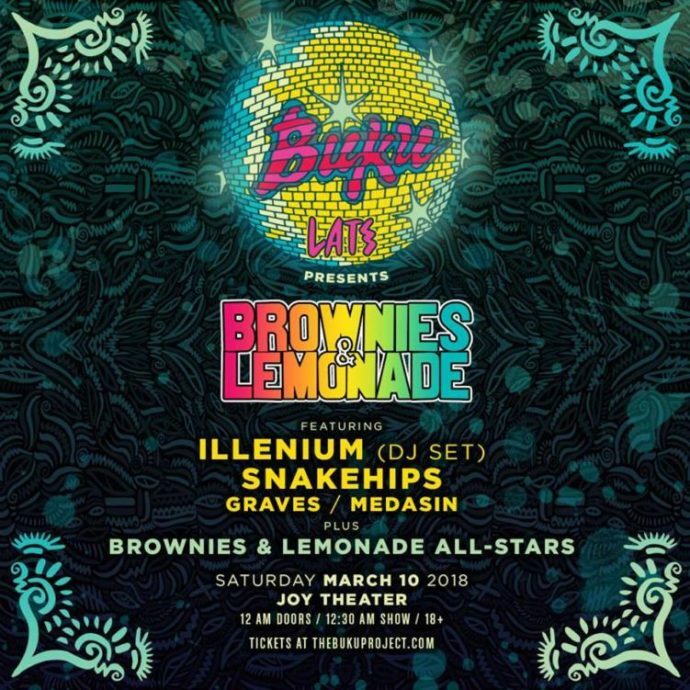 Catch performances by Illenium, Snakehips, Graves, and Medasin. The show begins at 12:30AM at the Joy Theater, don’t miss out! Purchase tickets here. 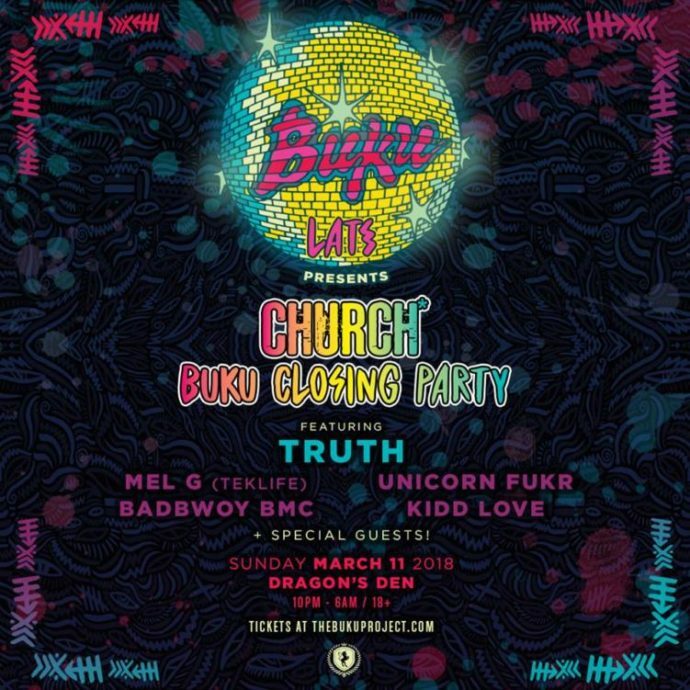 End the weekend on a good note with the official BUKU closing party, Church*. The famous underground party takes place every Sunday at the Dragon’s Den, however this go round is a special one! Featuring Truth, Church* is guaranteed to be an excellent time. This after party is known for bringing in spontaneous guests after massive events, so you might see some EXTREMELY special performances. Purchase tickets here. Where will you find yourself after BUKU? with the Techno, bass, or rap?